The blogger counter-suing former Conservative Party leader Colin Craig is seeking more than $16 million in damages. But Craig will have to leave how much he is potentially awarded up to the courts because he's suing a media outlet. 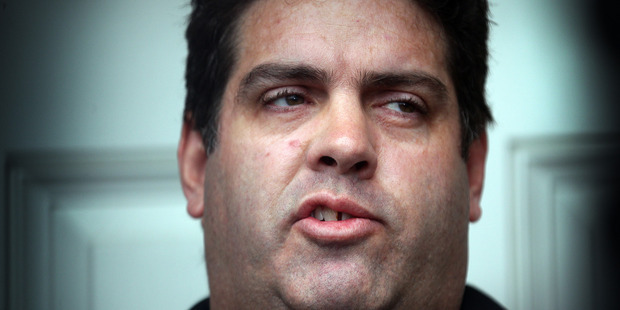 Craig's defamation case against right-wing blogger Cameron Slater began today at the Auckland High Court before Justice Kit Toogood. He claims 18 publications between April 29 and July 19, 2015, were "seriously defamatory". The allegations culminated in his stepping down from the Conservative Party, which he founded, because his political aspirations were ruined and his reputation had been destroyed. Craig said his resignation wasn't because the claims were true but because they'd taken on a "life of their own" during a "media firestorm". The defamation case will mean a return to Craig's relationship with his former press secretary Rachel MacGregor which were central to another suit late last year. • That he had sexually harassed Ms MacGregor. • He'd given her a "large sum of hush money" which Mr Slater claimed proved the harassment. • Craig had lied because he told his party and the public the accusations weren't true. • Craig was a "sexual deviant" and had harassed another woman. • Craig engaged in "devious conduct" regarding the Conservative Party. "Look these allegations are true, I wouldn't have published them if they weren't". Craig said because Mr Slater claimed to be a news outlet, he should have investigated the accusations further. "We have diametrically opposed views on the basis of facts here." Mr Slater is counter-suing Craig for what he said in those instances. Because Craig is suing a media outlet, if the court rules in his favour it will decide what damages he is awarded. However, Mr Slater is suing an individual so is able to sue for a specific amount and is seeking $16,234,020 from Craig. Craig today detailed the background to the allegations in his brief of evidence. During Ms MacGregor's time as press secretary for the Conservative Party, Craig said they developed a "close and affectionate" relationship. They had similar interests, like their Christian faith, and spent a lot of time together, he said. They also shared a passion for poetry, reading and song and both described their styles as "flowery", he said. In November, 2011, he sent her a letter describing his feelings. "There's a difference of opinion whether that letter was appreciated or not." The same month on election night, there was an "incident" and Craig claimed they ended up kissing while at Parliament and Ms MacGregor "removed her top". There would again be differing opinions as to who stopped it but both agreed they should set boundaries, Craig said. By 2014, the pair had what he described as a "brother-sister" relationship - she gave him back massages to ease pain from a degenerative condition and her mother brought him extra soup for lunch. He said their numerous texts and letters were "mutual". Craig said he ignored warnings from other colleagues that Ms MacGregor had developed "strong feelings" for the politician because he enjoyed her affections. On a flight from Napier to Auckland, Craig said Ms MacGregor told him in whispered tones that her relationship with her boyfriend wasn't working. She allegedly told him no one knew her better than he did. "I want to be with you. I want to be more than just your press secretary," Craig claimed Ms MacGregor said. "At that point it was like someone dumped a bucket of cold water over me. A warm and friendly conversation with a friend had suddenly turned very serious." He realised their friendship needed to end, Craig said. Four days later, Ms MacGregor resigned suddenly. One of Mr Slater's allegations was two days before that, Craig told her he'd slept well because he imagined lying on her naked legs. "I sent no such message nor did I send any similar such message." 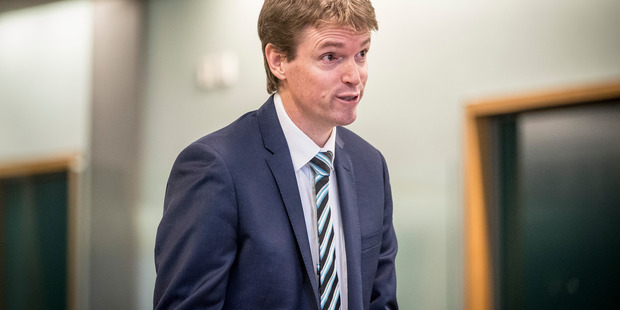 No text was found in a forensic examination of his phone and the defendant could not produce a copy of the message which Craig said showed Mr Slater was lying. Ms MacGregor took up a sexual harassment case with the Human Rights Commission which was settled in mediation. Craig maintains there was no sexual harassment and claimed their relationship was "mutually affectionate". The settlement was confidential which is why Craig said he didn't tell the Conservative Party board but he later spoke about the suit in interviews which breached the terms of the agreement. Ms MacGregor was awarded more than $128,000 in damages for emotional harm. Craig said she went to her friend, Taxpayers' Union director Jordan Williams, to ask for advice and he took notes throughout the meeting. Ms MacGregor would give evidence she assumed what they discussed was confidential because he was a lawyer and didn't correct his notes because she didn't think he would do anything with them, Craig said. But Mr Williams contacted others with the allegations, including Mr Slater who published the allegations on the Whale Oil blog and repeated the allegations in interviews. As a result of the "media firestorm" Craig was forced to step down from the party which he "founded and loved and poured my heart and soul into"; not because they were accurate but because the allegations had taken on a "life of their own". He compared the subsequent media frenzy to being in medieval stocks and having rotten food thrown at him. Craig said he was forced to defend himself. The judge would have to decide who was telling the truth, the main defence of defamation, and Craig said the defendants had "very little" evidence to support their case. The trial continues and is set down for three weeks.